Peter Freuchen was a Danish explorer, author, journalist and anthropologist who is renowned for his extensive exploration of the Arctic Circle. He chronicled these extensive explorations in several acclaimed books and worked in Hollywood as a consultant and scriptwriter on all things concerning the Arctic Circle. Peter was also an active member of the Danish resistance against the Nazis during WWII. Want to know more about this remarkable fellow who once killed a Wolf with his bare hands? We have got you covered. Peter Freuchen was born on the 2nd of February 1886 in the Danish city of Nykøbing Falster. His father, Lorentz Benzon Freuchen was a Danish-Jewish businessman while his mother’s name was Anne Petrine Frederikke Rasmussen. Growing up, Freuchen was not satisfied with the quite and structured life that his father had envisaged for him. He was bored with the classical literature and Latin he was taught in school but instead found the stories of sailors who had traveled far and wide more interesting. Often times, he would desert school to go to the seaside to listen to the tales of these sailors. Freuchen, however, continued his formal education. He even enrolled in the University of Copenhagen to study Medicine but after some time, he dropped out of school to pursue his true calling and destiny as an explorer. Peter Freuchen was consumed with the quest to explore the hitherto uncharted territories of Greenland and so, in 1906, at the young age of 20, he embarked on what would be the first of so many voyages to Greenland as well as the North Pole. His partner was his friend, Knud Rasmussen, a Danish-Inuit, who would go on to become a renowned explorer and anthropologist in his own right. The two friends embarked on their first voyage to Greenland in 1906. When they got as far as they could go by ship, they continued their journey with dogsleds all in a bid to explore the northernmost part of the earth. They covered a mind-blowing 600 miles with a dogsled. In the course of their journey, they came in contact with the friendly Inuit people, traded with them, hunted and also learned their language. In 1910, the two partners set up a trading post at Cape York Greenland known as the Thule trading station. From there, they undertook seven expeditions into Greenland known as the Thule expeditions between 1921 to 1933. One of the most notable achievements of the Thule Expeditions was that their first Thule Expedition disproved the claim by Robert Peary (another famous Arctic explorer) that the North Pole was separated from Greenland by a river. Between 1910 and 1924, Freuchen divided his time between Thule and Denmark but primarily lived in Greenland. In Greenland, he spent his time exploring the Arctic Circle. He also gave tours and lectures on Inuit culture to visitors who came to the Island. In Denmark, he embarked on tours and lectures to educate people about the culture of the Inuit. He also brought items from Greenland for the museums in Denmark and wrote articles for several newspapers and magazines relating to his travels. 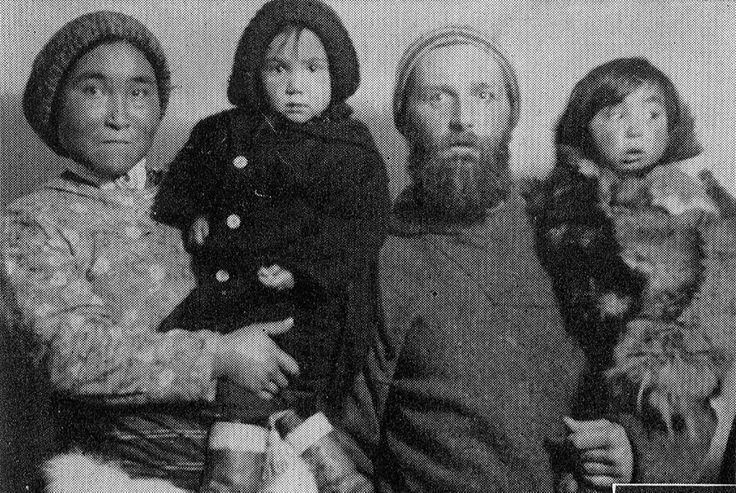 In 1911, Freuchen got married to an Inuit woman by the name Navarana Mequpaluk. They had two kids together, a boy, Mequsaq Avataq Igimaqssusuktoranguapaluk and a girl, Pipaluk Jette Tukuminguaq Kasaluk Palika Hager. Navarana, however, died in 1921 during the outbreak of a Spanish flu epidemic. Following the death of his wife, Freuchen returned to Denmark. In 1924, He got married to a Danish heiress by the name Magdalene Vang Lauridsen. The marriage lasted for 20 years up until 1944. In 1925, Freuchen became the editor-in-chief of a magazine founded by his father in law known as Ude of Hjemme. He wrote the first of his 30 books titled Travel Book in 1927 and worked in Hollywood as a consultant and scriptwriter on the movie adaptation of his book Eskimo. It must be noted that Freuchen did not abandon his expeditions in Greenland. He still embarked on other Expeditions in 1926 and 1932. Other books by Freuchen include Ivalu (1930), Vagrant Viking (1954), Book of the Seven Seas (1957) and many others etc. 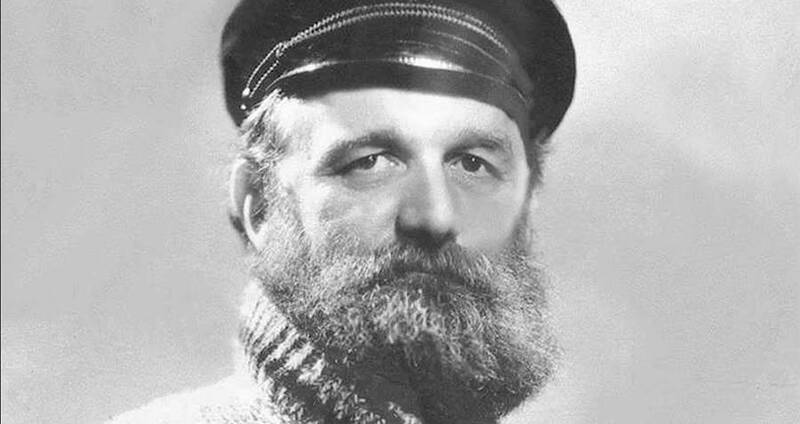 During WWII, Freuchen became an active member of the Danish resistance. They hid and helped refugees and sabotaged the plans of the Nazi forces. Freuchen was Jewish and proud and made no attempt to hide that fact despite the risk it posed to his life. His efforts were so extraordinary that he caught the attention of the higest echelon of the Nazi Regime who gave an order that he be killed. He was captured and detained but managed to escape to Sweden in 1945. From there, he traveled to America where he got married for the third time to a Danish-Jewish fashion illustrator by the name Dagmar Cohn. Both of them settled down in New York. This marked an end for Freuchen’s exploration activities. He settled down in New York where he became a memebr of the New York Explorers Club. Peter Freuchen died at the age of 71 years in 1957 from a heart attack. His ashes wewre scattered over Thule, Greenland. No other place could have been more fitting. During the first Thule Expedition, Freuchen and his team got trapped in a terrible blizzard. He was forced to take shelter under a dogsled which was soon covered by snow. Later he discovered that the snow had solidified into ice. He lacked tools with which he could break out. However, he managed to improvise a dagger out of his own stool which he used to break out of the ice. On gettting back to camp, Freuchen discovered that his toes were basically dead as a result of frostbite. Aware that if he did nothing, he would lose his whole leg, he amputated the affected toes himself without any form of anesthesia and replaced them with pegs. Also, in 1921 when his first wife passed away, the church refused to bury her because she was not baptized. Freuchen single-handedly buried her himself in the church graveyard. In 1956, a year before his death. Freuchen took part in a TV game show, The $64,000 question (similar to Who Wants To Be A Millionaire) and won the ultimate price of $64,000.